Can you think of a better way to start your mornings off than with a colourful, healthy and refreshing smoothie bowl? 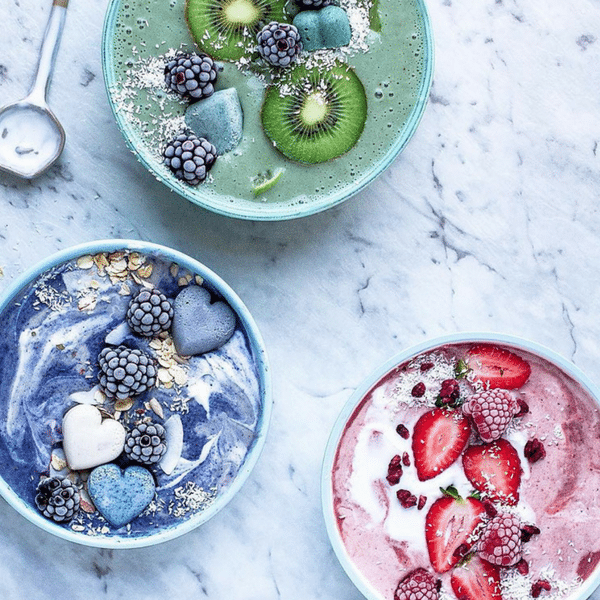 Thanks to Kath & Jade – the talented duo behind @panaceas_pantry – we have 3 tasty Smoothie Bowl recipes for you to try! These bowls are packed with nutrients, taste amazing and can be whipped up easily within a few minutes! Check out these amazing flavor combinations & be sure to let us know your fave! + a Few Drops of Rose Essential Oil . + 1/4 cup coconut cream. Ta-da – as simple as that! Smoothies have never looked so beautiful – and trust us, they are as tasty as they are pretty! Try them out for yourself and don’t forget to let us know what you think over on our Insta! It’s a Proven Fact that Breakfast is Best Served on Bamboo Bedding! – CLICK HERE TO SHOP!